Snow City, a unique ice- and snow-themed amusement park, was having a little trouble communicating the real fun aspects of what they offered their customers and how different the ‘Snow City’ experience was from other amusement parks. Previous communications lacked a certain targeted marketing strategy, and this is where Circuit 9 came in to change the game. We were personally thrilled with the idea of Snow City. We thought it needed to stand head and shoulders above the crowd, so much so that its competitors should look ordinary when compared to Snow City. We leveraged its USP, which was unique indeed, and translated it into creative designs in print and outdoor branding as well. We designed hoardings, brochures, leaflets and a whole lot more to flood the hearts and minds of customers. Our design efficiency and marketing prudence struck a chord with the target audience, who recognized the uniqueness of Snow City and all the fun that could be had there. 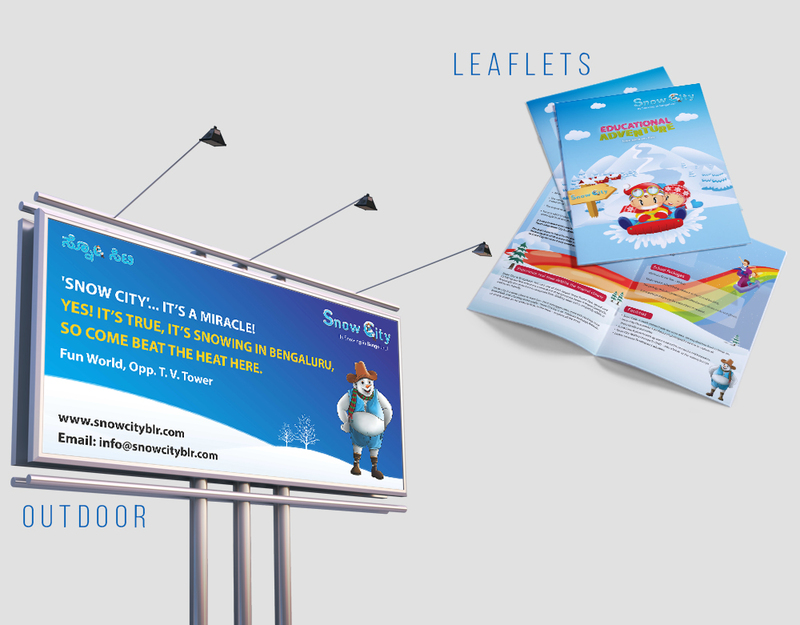 We improved brand visibility as well as brand recall, thus fulfilling the promise of the complete Circuit 9 experience, helping Snow City stay well on course for their long-term marketing goals.